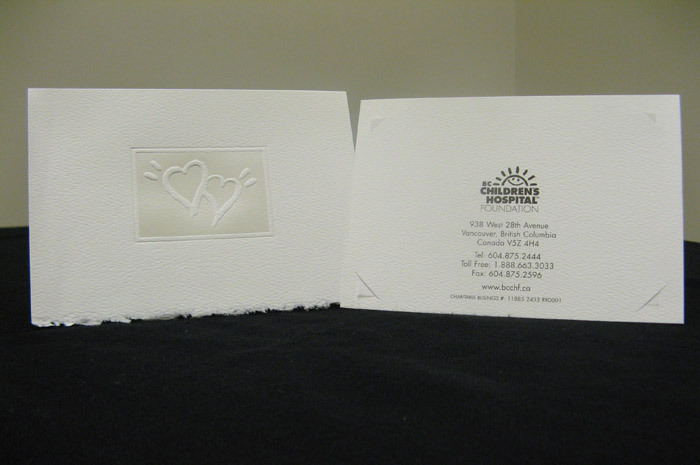 · Plate Card: A 4" x 6" tent card to be used in lieu of favours. 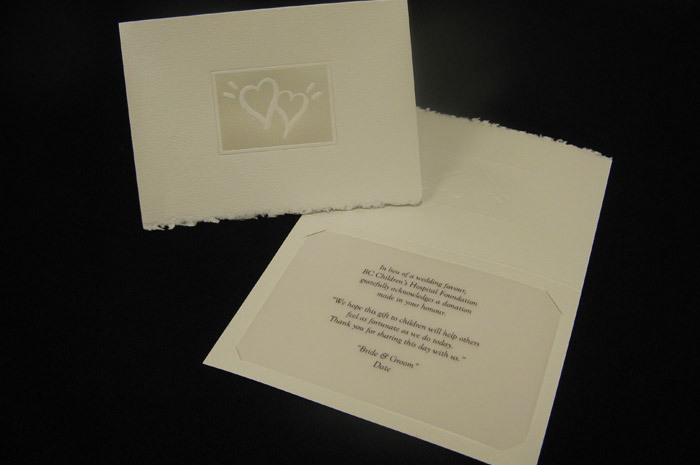 Cards can be provided for each guest, couple, or table. 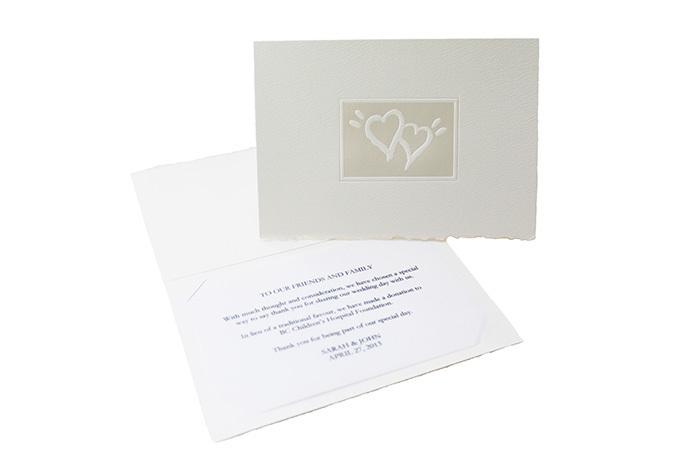 Optional printed vellum insert is included with message to acknowledge your donation, the bride and groom's names and the wedding date. 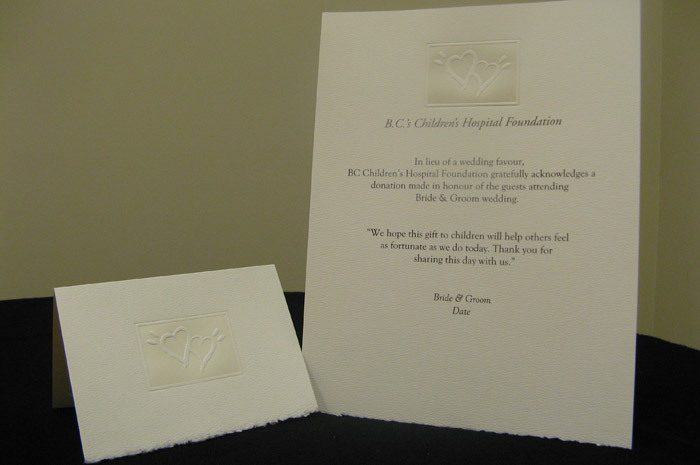 · Certificate: An 8.5" x 11" embossed certificate to be displayed as a table centre-piece or beside the guestbook. This certificate can be personalized to include the bride and groom's names, and the wedding date. · Emcee Message: For the emcee or DJ to read, to acknowledge the donation you have made and its importance to BC Children's Hospital.